We are a leading firm engaged in offering highly qualitative Designer Nail Paint Caps. These caps are manufactured using raw materials of the best quality in stringent adherence to industry-specified quality norms and standards. These caps are priced economically and are available to clients in various shapes and sizes. These nail polish caps are durable, easy to install and unbreakable. Clients can get these from us in various eye-catching sizes and shapes. 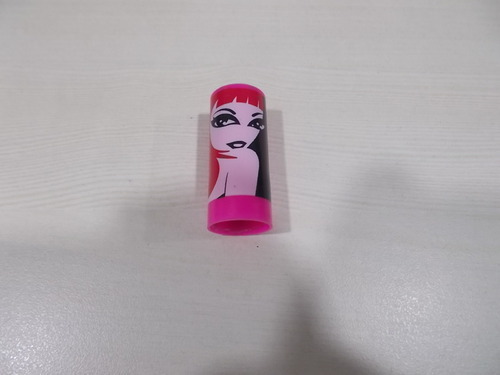 Established in Delhi, we, Ritika Plastic Company, are one of the leading Manufacturers and Suppliers of premium quality Plastic Tube Caps, Nail Polish Caps, Nail Polish Brush, Cosmetic Containers and Plastic Moulding Labour Job. These are manufactured using raw materials of premium quality at our ultra-modern infrastructure facility using raw materials of the best quality. These products are available to clients at budget-friendly market prices in a wide range of shapes, sizes and designs. These are made using virgin plastic of the best quality and are known for their trendy and elegant designs, resistance to breakage and cracks and flawless finish. These last for a long period of time and are highly demanded by the cosmetic industry. We make these available to clients at leading market prices in an assortment of specifications. Our expertise helps us offer products of the best quality to the clients within the stipulated period of time.